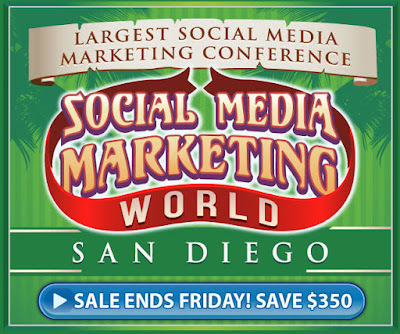 Are you creating a fan base on Facebook? Want to discover how to engage your audience via pages and groups? 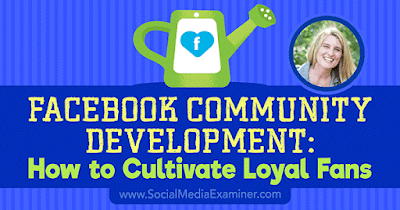 To explore how to nurture a community on Facebook, I interview Holly Homer. In this episode, I interview Holly Homer, a professional blogger whose Kids Activities Blog helps parents discover fun things to do with their kids. Her Facebook page (Quirky Momma) has more than 3 million fans. Holly shares how she’s cultivated a thriving community using Facebook. You’ll discover how Holly uses Facebook Insights to develop her content. You can also subscribe via iTunes, RSS, Stitcher, or SoundCloud. Community is the key to performing well in the algorithm-driven world of Facebook. To serve the community of Kids Activities Blog and the Quirky Momma Facebook page, all of the content focuses on the people who make up that community. Those people are mostly moms (plus the occasional dad, grandparent, or teacher) who are looking for something to do with their small children and survive the day. Whether that content is a video, picture, or saying, it needs to help the community and bring people closer together. When Holly began blogging 10 years ago, the community developed via comments on her personal blog, June Cleaver Nirvana, as well as comments she made on her friends’ blogs. 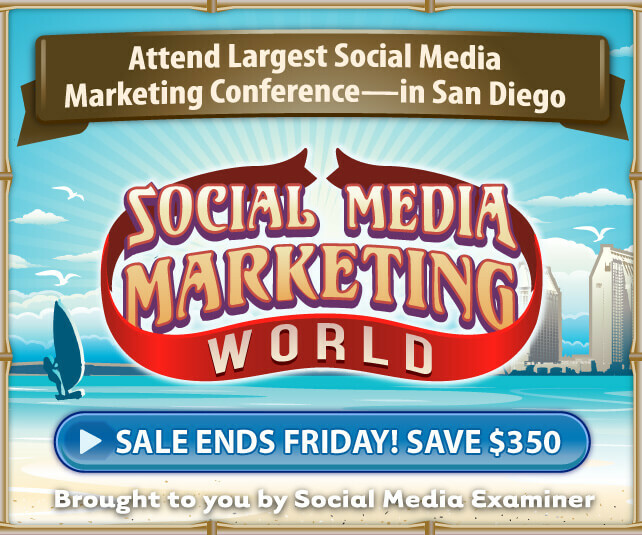 A popular blog post might attract 300 visitors and 150 comments. Holly recalls that commenting made this community visible and close-knit. When social networks came along, Holly says she had to relearn how to establish community, so she steered the conversation from comments onto Facebook because that’s where comments and engagement were happening. She had to tell her community where she would be engaging and eventually turned off the comments on her blog. Facebook Live changed Holly’s community again. She says she can now talk directly to her fans, but Facebook Live allows her to have more of a two-way conversation and be a participant rather than the center of her community. Listen to the show to hear Holly’s advice for maintaining a community as social media changes. Holly is a bit of an analytics geek and uses Facebook Insights learn about her community and what they like. With Facebook Insights, Holly can learn what common traits her community shares (they’re typically moms with small children), where they live (mostly the United States and Australia), when they’re online, and what they do online. Holly says she can also see what types of content her community likes (such as photos, links, or videos) and even what kinds of links or videos attract the most engagement. What Holly learns in Facebook Insights helps her decide what type of content brings her community together. Holly says her team knows that if the orange bar is short, don’t repeat that content. If the orange bar is long, try to figure out how to repeat the performance of that successful content. For Holly, a short orange bar doesn’t mean that the proverbial algorithms didn’t like some content. It means her fans didn’t like the content. She says every single interaction on your page is a vote for more of that content. To stay in touch with her community, Holly posts on her Facebook page herself so she sees how content performs each day. She also tries to guess how far a post will reach before she posts it. Later that day, she compares the post’s actual performance to her guess. By playing this guessing game, she develops good instincts about how content will perform. Holly says about 80% to 90% of the time, a post’s performance meets her expectations. If a post doesn’t do as well as Holly expected, she tries to figure out why. Was it the copy? The picture? The time of day? To figure out the issue, Holly says she might rewrite the copy, use a new picture, and schedule the revised post for three days later. If the revised post does better, she tries to figure out why. Holly also shares that some posts that are really close to your heart aren’t necessarily close to your community’s heart, and that’s okay. The last time Holly was on the podcast, she recalls saying Facebook doesn’t like third-party schedulers. Holly says she still stands behind that to an extent. One of the reasons Facebook doesn’t like these schedulers is because they take you a step away from your analytics. If you run a Facebook page, you need to look at your analytics every day. Listen to the show to hear why Holly says low or high reach is not necessarily the algorithm’s fault. After you begin learning from analytics what topics interest your community, you can use that knowledge to nurture conversation in your community. Holly says that if you run a website, the popular topics on the site can inform what content you share with your Facebook community. 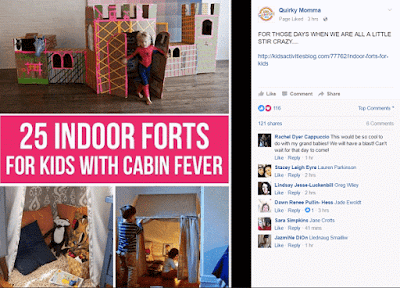 For Kids Activities Blog and Quirky Momma, the popular categories are easy recipes for families; getting your kids to do X, Y, or Z (such as potty training, eating, stopping tantrums); and general parenting and home hacks (such as how to run a house and how to save time). 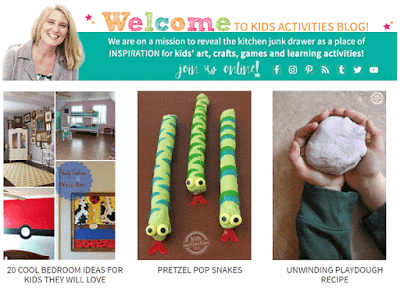 Those categories of content do well on Kids Activities Blog, as well as the Facebook page. Knowing what content is popular can also help you foster interaction within the community. For instance, Holly says daily reader questions helped the Quirky Momma Facebook community grow organically. At first, readers sent a question to the page, the community manager posted the question in its entirety, and the community members shared their answers. After the text-based question-and-answer sessions became less popular, Holly says she moved the Q&As to live video. 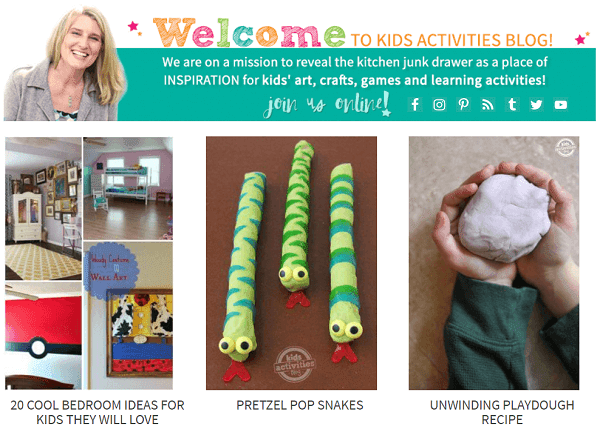 In the refreshed format, a Kids Activities Blog article is often the jumping-off point. In the first three to five minutes of the video, she reviews a popular blog post, so the session begins with concrete information. Then the community weighs in with what they want to discuss, what resonates with them, and what struggles they’re having. When I ask if Holly reads back the comments live, Holly says absolutely. 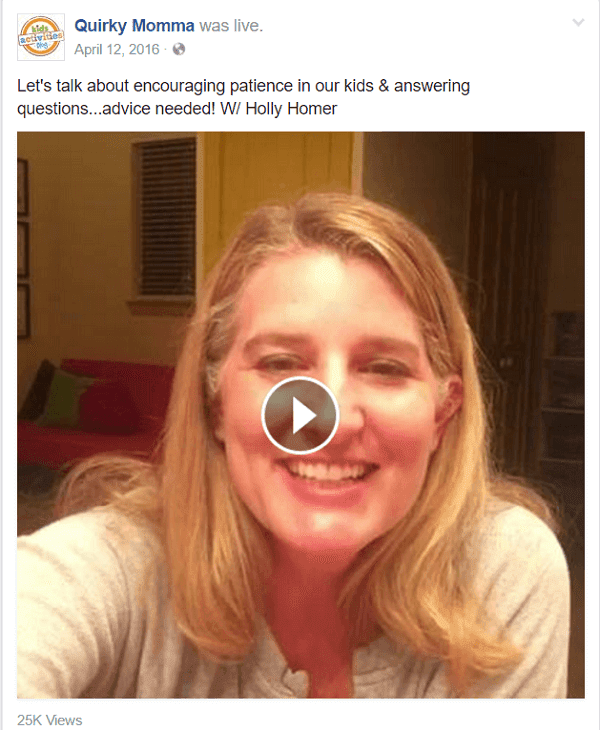 Also, when Holly doesn’t have an answer (for instance, she has three boys and sometimes there are questions about parenting girls), she asks the community to chime in and they offer a wealth of information. She tries to avoid becoming a talking head or expert because that role would be at odds with the purpose of a community. Holly emphasizes that live video is about that interaction. Her goal is to speak to every single person on each video and say their name, respond to them, thank them for being there and for being part of the community. Holly also stresses that live video is the gateway to interaction on Facebook right now. Live video activities will have greater reach than anything you post so you can harness live video for growth. Holly doesn’t think there’s a formula for how frequently you should do live video. That depends on you and your community. For example, you might go live on your page once a week, or if you have more time, once a day. However, Holly does think the length of your video is important. She says that on Facebook Live, the longer the video the better. Longer videos get more reach. Some people pop in and out for a few minutes, and a handful will stay the whole time. Holly started going live for 20 minutes, but now goes live for an hour or an hour and a half. To nurture community, Quirky Momma also encourages people to post links to the community’s wall. 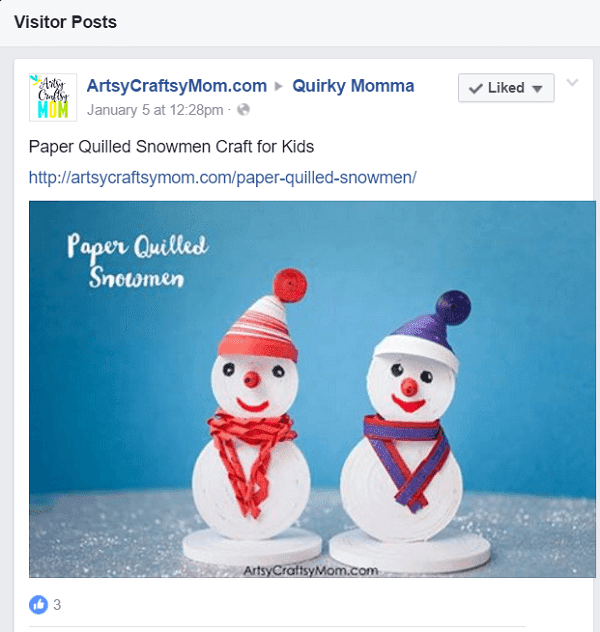 When a community member posts something amazing, Quirky Momma reshares the link. The links are an immense resource for great content. For a small page, Holly recommends you reshare the visitor link to your wall. For a large, engaged page, the reach will be better if you copy and paste the link fresh. Listen to the show to discover why resharing links benefits your community. Holly has several Facebook groups and she uses them as category extenders. So instead of having a niche blog or Facebook page, she has niche groups where members talk and engage around a specific topic of interest. For instance, Holly runs a site called Poise and Purpose, which focuses on health and beauty, and someone on her team runs a Facebook group specifically about makeup tutorials and tips. Holly and her partner Jamie Harrington have another group called Aka LuLaRoe, which is a community for buying and wearing LuLaRoe clothing. (They’re independent consultants for LuLaRoe, a company known for its leggings and other comfortable and stylish clothes.) They started this group because the Facebook terms of service don’t allow people to go live on Facebook on a public page or profile to sell products. However, sales are allowed in a private group. After the LuLaRoe group began doing very well, Holly says she applied the same sales model to her niche groups. I ask Holly whether Facebook group notifications make up for the fact that you aren’t allowed to advertise in groups. Holly believes the notifications help increase a group’s visibility and participation. For example, the Quirky Momma Facebook page has 3 million fans, whereas the Aka LuLaRoe group has about 19,000 (now over 22,000) community members. However, similar numbers of people watch her live video on both the page and the group. Holly says that the exclusive nature of a Facebook group also increases member participation and interest. On live video in the group, Holly isn’t speaking publicly to 3 million people; she’s speaking to group members as their friends. The group is tight-knit, secret, and quiet. It’s like a special club with inside jokes and silly language that wouldn’t be understood outside the group. Although the Aka LuLaRoe group has smaller numbers than the Quirky Momma Facebook page, Holly emphasizes that running a group is as (or maybe more) intense than running a Facebook page. The group requires more nurturing and you interact on a more personal level, whereas on a page, Holly is mostly broadcasting. Holly says that a group will impact your business and you have to decide whether the return on investment is worth the effort. Listen to the show to find out what happens when you build a community on live video. Holly believes that attracting people with content rather than advertising is the magic sauce for growing a group. 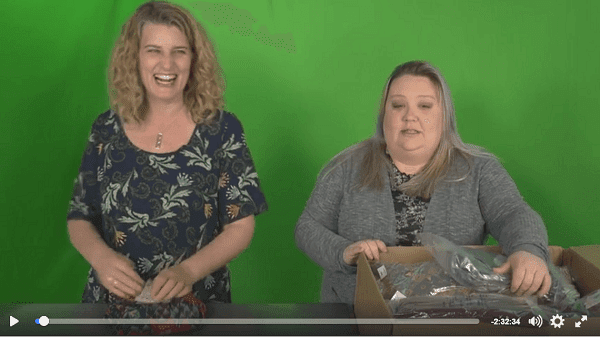 The Aka LuLaRoe group grew from the Aka Mom page, which features silly live video. Both the page and the group have grown by word of mouth because the content is so unique. They have a show every night. People watch it even if they’re not going to buy clothes because the show is a bright spot. It’s silly. People are able to let their hair down and talk to their friends. Because video in the private group doesn’t appear to anyone outside the group, the group settings are important. Holly says every member needs to be approved, but the settings enable anyone who’s already a group member to approve new members. After people join the group, Holly wants it to be their safe haven. Holly says that her group is successful because it’s a vacation from people’s everyday lives. Holly feels like some social media professionals stiffly march around as experts in their field. That’s not what communities want. Communities want the real, the funny, the accidents, the mistakes, the silly things that happen today in a positive light. Those things make you human and allow you to connect. When she goes live for three hours every night, Holly says she’s a mistake waiting to happen. Then her husband, who runs the live production, cuts out her mistakes and replays them a hundred times in future episodes. That’s what resonates with people. Learn more about Holly on her Kids Activities Blog. Check out the Quirky Momma Facebook page. Join the Aka LuLaRoe Facebook group. Watch videos on the Aka Mom Facebook page. Listen to Holly’s last podcast interview. Check out one of the Kids Activities blog articles and related Facebook post. Watch a Q&A with Holly on Quirky Momma. Check out Poise and Purpose, the Facebook group, and Facebook page. Learn more about Jamie Harrington. You can also subscribe via Stitcher or SoundCloud. What do you think? What are your thoughts on Facebook community development? Please leave your comments below.